ISLA NATIVIDAD is about 4 miles long and a mile and a half wide at its widest point. 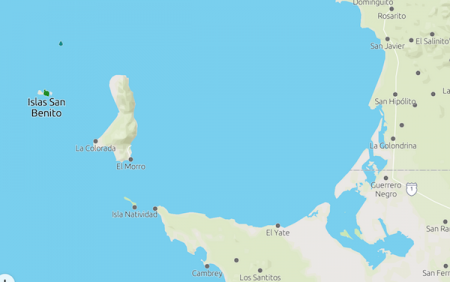 It lies a little over 3.5 miles to the west off Punta Eugenio on the Baja peninsula, and is a little over 9 miles south of Cedros Island. 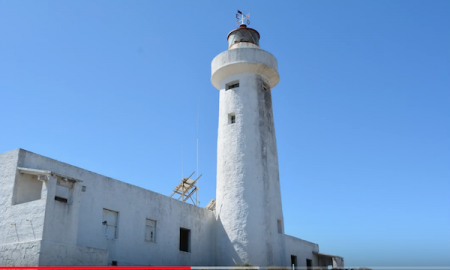 There is a lighthouse at the northern end of the island, and there is also a dirt airstrip on the island. Abalone, lobster and other fishermen live on the island. Isla Natividad is a barren and hilly island with a peak 150 meters high rising near the center and steep rocky shores fringed by kelp. Famous for its abundance of wild cactus gardens and spiny scrub, it is home to 79 plant taxa—8 of which are cacti. This page was last edited on 25 February 2019, at 00:38.